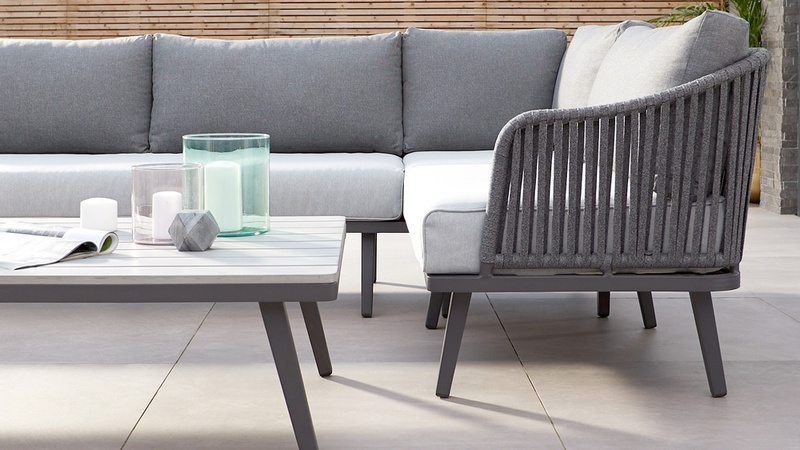 Create a luxurious outdoor living area with the Willow Right Hand Garden Corner Sofa. 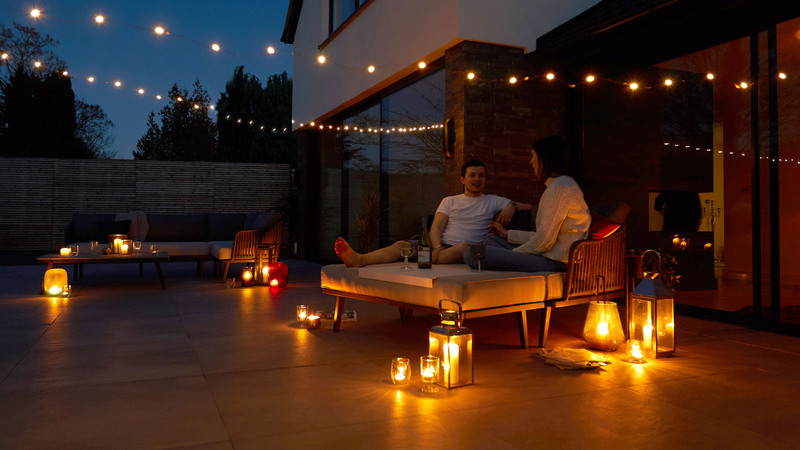 Bring the indoors out and have a relaxing place in the garden where you can spend time with family and friends. 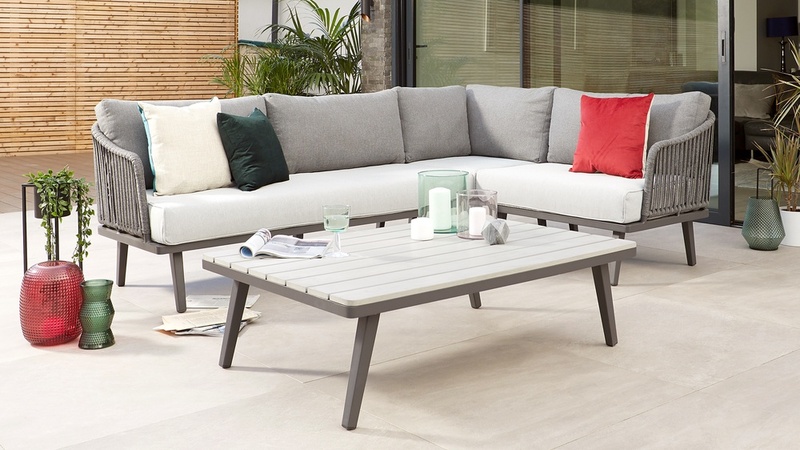 With its sturdy aluminium frame, durable rope back detailing and anti-UV treated cushions, the Willow garden bench is the ideal place to take it easy this summer. Your garden is an extension of your home and we believe it should be just as stylish. 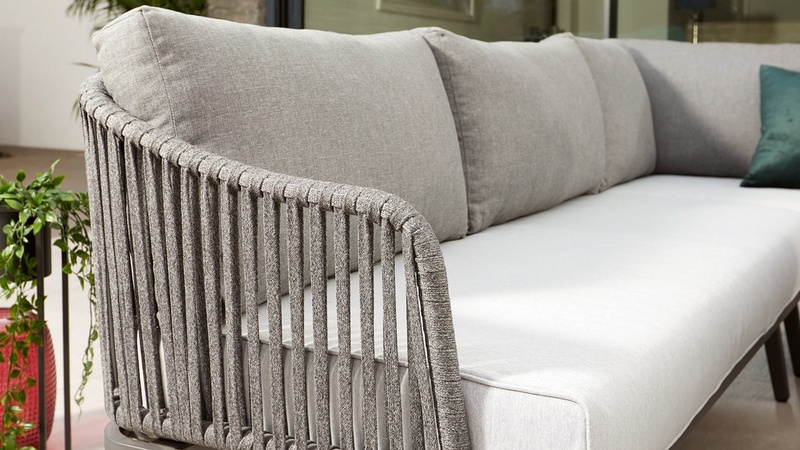 Here at Danetti we’ve designed the Willow Corner Bench in-house with an exclusive rope-back detailing meaning you won’t find this outdoor corner sofa anywhere else. 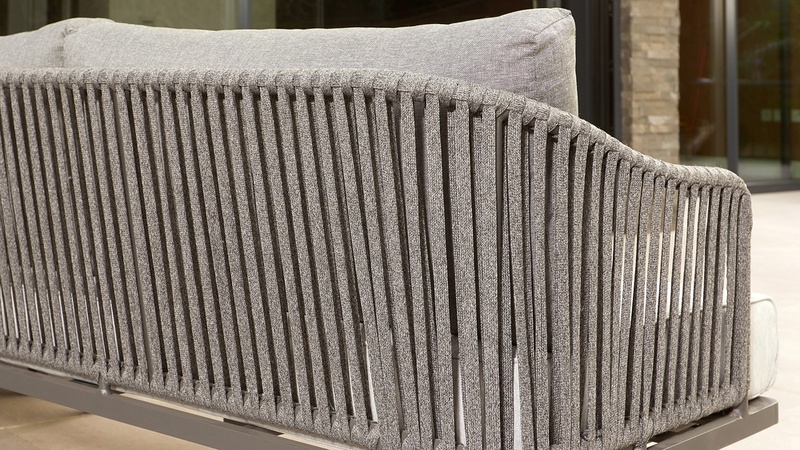 The foam and fibre cushions used on the seat of the Willow Bench make it really comfortable while also retaining the cushion shape. 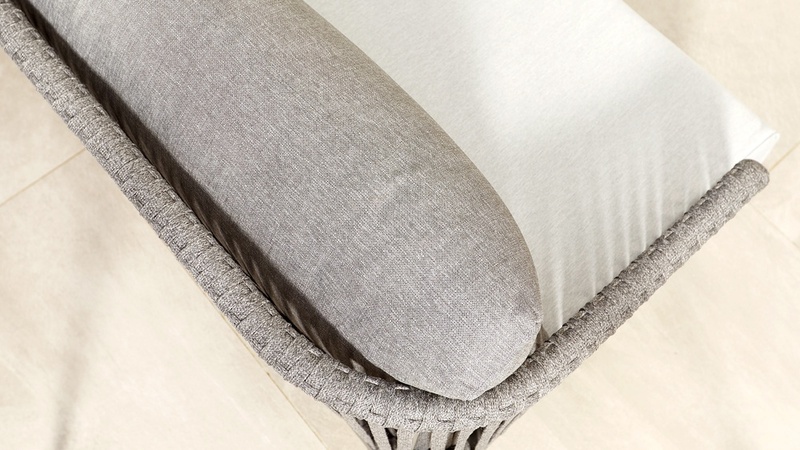 The back cushions on the bench are stuffed with fibres, rather than foam, this makes them lovely and soft. The height of the Willow bench is slightly lower than our dining benches and garden chairs which makes the Willow Corner Bench perfect for outdoor lounging. 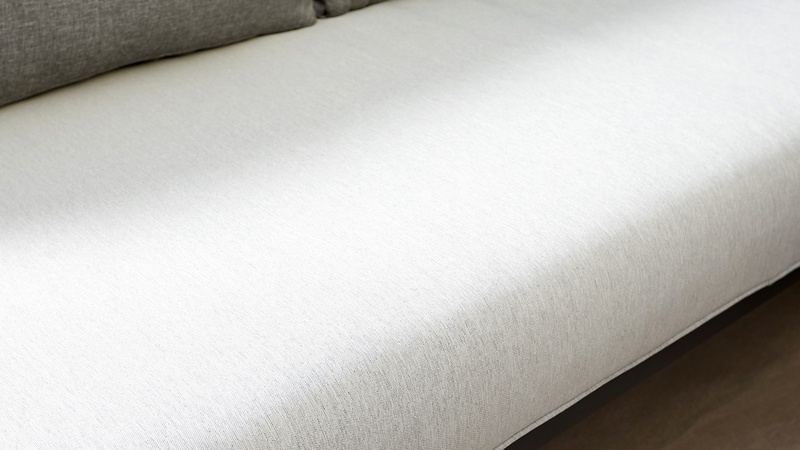 To prevent moisture being absorbed into the cushions we’ve ensured the material has been treated with a showerproof coating, which means you don't need to take the cushions in every time there's a little rain. 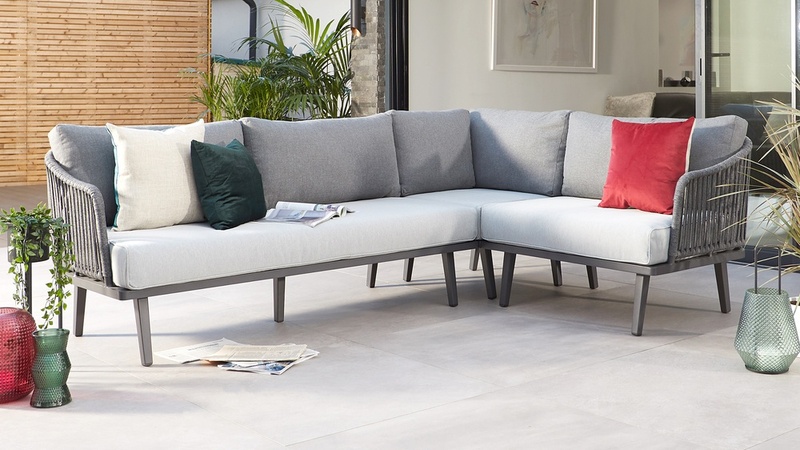 Our exclusive design for the Willow range includes an anti-UV coating on the cushions to help to prevent the fabric colour from fading in the sunlight. 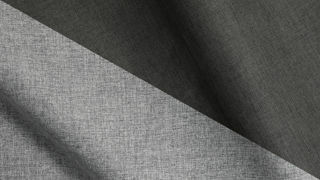 Most fabrics will fade slightly when exposed to direct sources of heat and light, however, the anti-UV treatment slows the process drastically meaning your cushions will last longer. 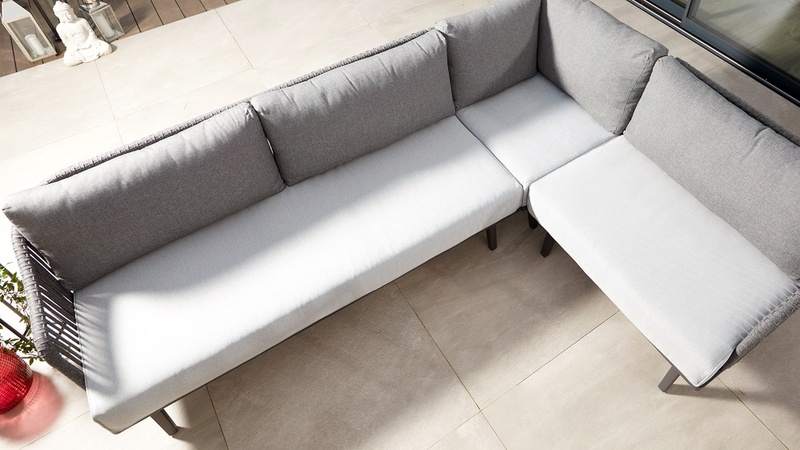 The main frame of the sofa is made from lightweight aluminium tube which makes it easy to position in your garden. Despite being light in weight, the aluminium frame means this outdoor corner bench is incredibly sturdy and durable. 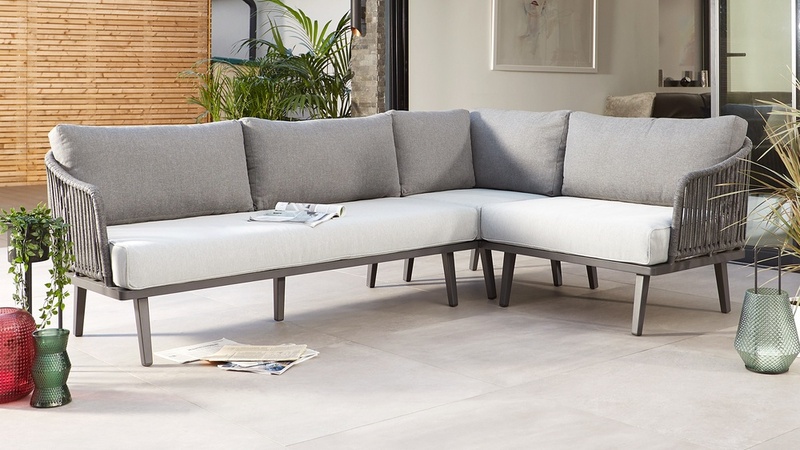 The Willow Right Hand Garden Corner Sofa is also available in a left-hand facing too. 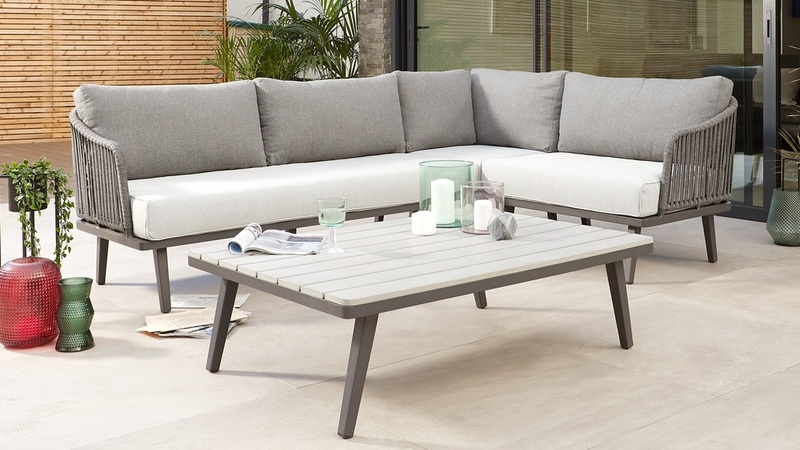 For the ultimate outdoor living space, team the corner sofa with the matching Willow Coffee table and Willow 2 Seater Sofa with Footstool.